The Gazley Hills Ranch sits on the outskirts of Smithville, Texas. Smithville is a quaint country town near the Bastrop/Fayette County line. Located just 46 miles from the state capital, this property would make for a great commuter ranch. 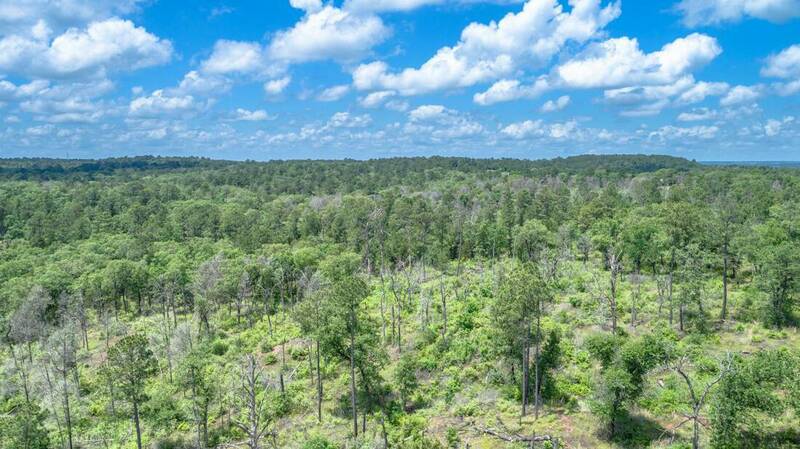 The 394 acre property boasts great topography not easily found in these parts. Mature hardwoods line the hilltops and draws, under the tree canopy lies hours of exploring. Gazley Hills Ranch has over 160 feet of topographic relief, making this 394 acre property feel much bigger. Two high points overlook two deep draws running from west to east. The draws are wet weather creeks lined with tall pines and rock outcroppings. The highest point on this ranch sits about 370 feet above sea level, the lowest point sits at about 290 feet above sea level. The wildlife species that can be found on the ranch include whitetail deer, dove, and predators. Due to its dramatic topography, it could be feasible to build a sizable lake on the northeastern portion of this property. A water well has not been drilled on this property yet but the property sits above the Carrizo-Wilcox major aquifer and Queen City minor aquifer. Located 1.3 miles west of Smithville off CR 325 this ranch is only 50 minutes from Austin and an easy 2 hours from Houston. Access is provided off of the well-maintained gravel road (CR 325). The property is offered as Surface Only. No leases or known history of drilling activity on the property.